With Cloud Next ’19 on the horizon and Google’s annual I/O developer conference headed our way in a few weeks, the Chromium team is working hard to polish the Crostini project that brought official Linux app support to Chrome OS. Just this week, Robby uncovered a commit that will bring microphone support to Linux apps on Chromebooks and this is just one of many updates that include deeper file manager integration, app searches, and the extremely important GPU acceleration. The last item on that list, GPU acceleration, will be a must for those interested in using Chrome OS as a legitimate developing environment. A crucial part of programs such as Android Studio or Flowblade, accessing the power of a devices GPU is a must before Crostini can ever see mass adoption by developers or even casual games that would need GPU acceleration for Steam apps and other Linux compatible games. In January, we saw the experimental addition of GPU acceleration to the Pixelbook as well as devices built on the ‘Nami’ baseboard which include the Acer Chromebook Spin 13 and Lenovo Yoga Chromebook. Now, it appears that Chromeboxes will be the next on the list to gain this much-needed feature. Unearthed by Kevin Tofel, GPU acceleration has been added to devices with the ‘Fizz’ baseboard and that includes all of the new generations of Kaby Lake boxes from HP, Acer, CTL, ASUS, and ViewSonic. This progression makes sense because the Chromeboxes are powered by the same 8th gen Kaby Lake processors found in the ‘Nami’ Chromebooks but beyond that, GPU support makes perfect sense in a Chrome OS desktop because they offer the most powerful processor/RAM combinations available on the market. 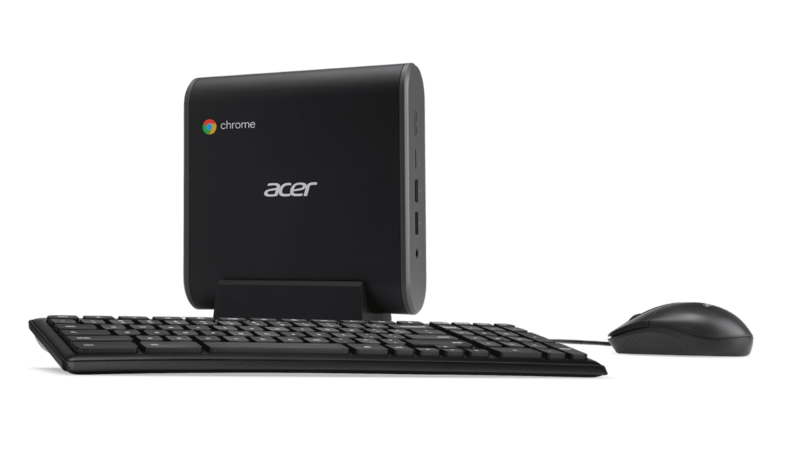 For developers and gamers alike, a Core i7 Chromebox with 16GB or more of RAM and some upgrades to the storage will make for a formidable machine that will add a milestone to Chrome OS’ resume. Signs point to GPU support officially landing in version 74 of Chrome OS but at this point I’d guess Google is just trying to get it stable enough to debut at one of their upcoming events. I wouldn’t be surprised if we don’t see this land somewhere closer to Chrome OS 75 or 76 but hopefully we’ll learn more at Google I/O in May.